Information on reporting requirements, prevention efforts, resources, training opportunities and data and statistics related to hepatitis in Michigan. Information about the surveillance, collection, analysis and interpretation of health data for the purposes of planning, implementing and evaluating public health programs. The goals of viral hepatitis surveillance are to measure the burden of disease; determine risk factors; identify outbreaks; monitor trends; evaluate control measures, interventions and programs; and identify infected persons for medical referral, education and counseling. Information on the methods of preventing hepatitis A-E, as well as hepatitis prevention efforts currently being conducted in Michigan. 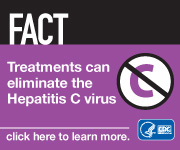 Hepatitis related educational and support information for both health professionals and the public. Hepatitis training opportunities available via MDHHS, as well as online training modules. Michigan Data and Statistics Summaries of hepatitis activities in Michigan. Included is data on hepatitis A, hepatitis B, perinatal hepatitis B and hepatitis C, along with the Viral Hepatitis Unit quarterly newsletter and annual report.